I’ve come to Bavaria to take part in something called a ‘Polylogue’. Like a dialogue but with many voices. It’s about arts and cultural education and/in/for Europe. Sponsored by three international foundations, 90 people from the fields of policy, research and professional practice have been brought together to discuss what arts and cultural education might do to support European sustainable development, understood in its broadest sense. There’s an understanding that the European project is faltering. Laws and currency are insufficient to bring about a cosmopolitan democracy in which difference is a strength. Arts and cultural education are seen as crucial to the achievement of some kind of European future, what kind is of course up for debate. More of this later. 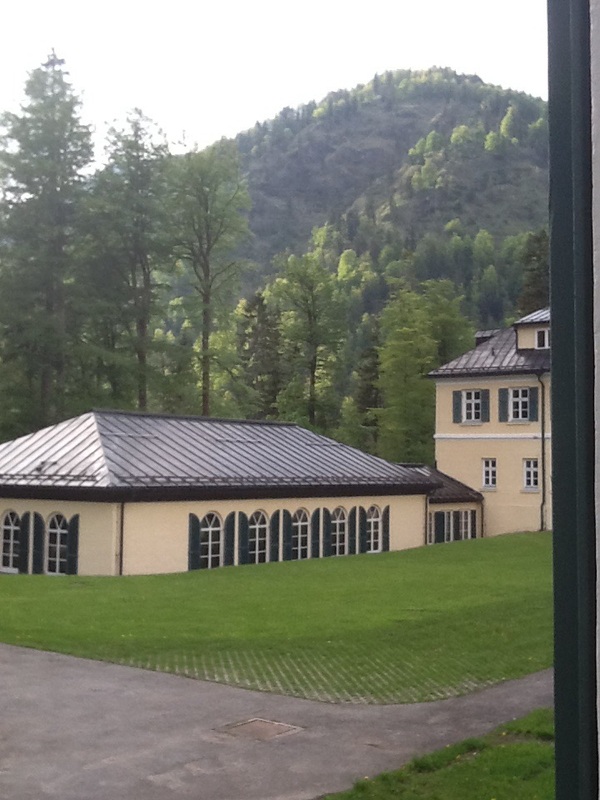 The conference is being held at Wildebad Kreuth, a former monastery, hunting lodge, aristocratic retreat. Now leased by Hans Seidel Stiftung, it hosts a range of events, including I gather some of a notoriously conservative political nature. The centre’s monastic heritage is retained in spartan rooms with no television, single beds and no ornamentation save a wooden cross above the bed. The views out of the windows are green and beautiful, as we are surrounded by the Bavarian Alps. Our first evening was an introduction to the work of the various sponsoring organisations and their hopes for the event. The event is called “New Alliances” and the programme has timed opportunities for personal/organisational connections to be made. An “alliance” is an interesting linguistic shift away from a network, encapsulating the aspiration for action. Some people already clearly know each other well. Others, like me, know a few people here but not a lot. Some are entirely new. How we get to find out enough about each other to become allies remains to be seen. Time slots alone will not be sufficient I fear. The bar with beer is one option tonight. I’m tired and not fond of beer, very Un Australian of me I know, so I opt to go to my bare little cell and wrestle with the rather too hot doona, and an open window with bracing mountain air. I’m hoping that there are other occasions to meet new people. This entry was posted in Conference blog, Wildebad Kreuth. Bookmark the permalink. First evenings at conferences are always lonely but tomorrow is another day. Here’s to you making new alliances in the morrow!